Seven Chakra Crystal Geometry Set are available in highly polished and also in bulk quantity. Chakra is used in full body meditation. With the help of chakra you can enhance your inner peace. Seven chakra are help to make a positive energy in body. 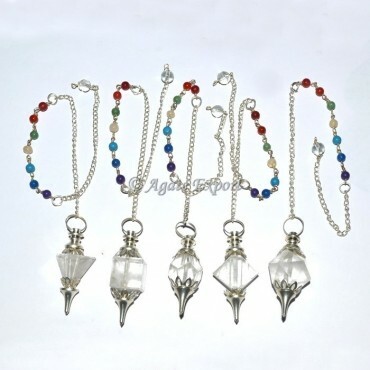 Gemstone Vogel With Garnet Pendulums. 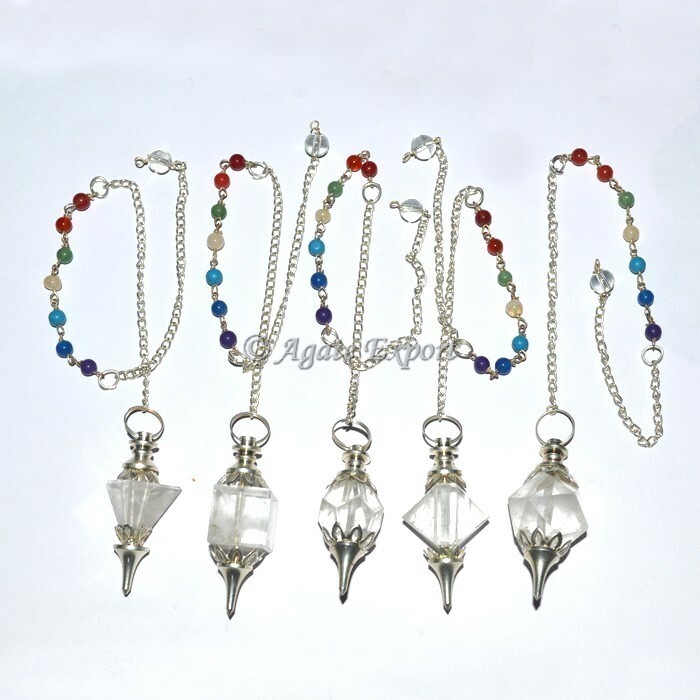 Golden Quartz Chakra Faceted Pendulums.